My mums wardrobe has now been renewed thanks to the great selection of clothes available to her through your website. As a bit of background info as to the reason for this. Mum is 98 and is now I the final stages of dementia. She lives with my wife and me and a couple of years ago I gave up full time work in order to look after her. As you probably know dementia can manifest itself in lots of ways and often it is a case of catch up for us as these manifestations can be unexpected. We have, since Mum has been out of action, kept her looking smart and through high st shops. I had to take bags of very good clothes of hers to our local charity shop. It was proving difficult to replace these from the rails of Sainsburys and Tesco as their selection is limited and so my wife got the laptop on the job and found your Company. Your website is very easy to scoot around, the selection is first class, the prices are very reasonable and the first class delivery is the cherry on the cake. Thank you so much for making this all so easy and we can all be happy in the fact that as Mum’s new smock dresses don’t have and undoable buttons and her modesty can be preserved. Ha ha ! Hi, just wanted to say a quick hello, and thank you for getting the skirts out so quickly. They are for my 95 year old mother in law, she is in a home because she is in the final stages of Alzheimers. I love the quality, and the stretch in the waist band is perfect for the needs of people who, in Elsie's case are slumped in a chair all day. I know the girls in the laundry will love them because they are such easy care. I am just so impressed with your service, and it was lovely to hear your cheerful voice when I called! What an excellent service you provide with the goods arriving within one working day after the order was processed. I am very pleased with the quality of the skirts that I ordered so much so that I have placed a further order today. When I require any further clothing I will definitely visit your website again. We have just ordered mum two more dresses from you for mum's birthday as she really likes the last ones we bought. You really are invaluable,nobody else caters for the traditional elderly person,especially ,like our mum,who is tall and large. Not only have you got the product right but the prices are excellent too. We look forward to buying from you again in the near future. I just wanted to say a big thank you for the clothes that I ordered for my mum. I had some the other week from you and today received some more. Mum is so happy with them. 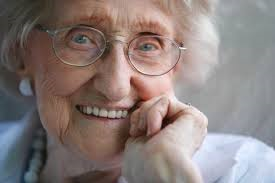 She has recently gone into a care home and your clothes are ideal for her she is over the moon especially with the dresses. She hasn't had any new clothes for quite a while as there is nothing where we are that caters for elderly ladies (she is 94) and kept saying she was ok. When she went into the home though I told her we would sort her out with some new clothes and I was so delighted when I came across your web page. So a big thank you to you all and no doubt we will be ordering again at some point. I am so happy i came across your site. Its hard to find dresses suitable for nursing homes, you have a great range and at very good prices. My mum loves her new dresses, she is happy, I am happy! Will always shop with you. I'd just like to say I am very impressed with your service, I've never used you before. I placed an order about 2.30pm yesterday not knowing how long it would be for the item to arrive, but it arrived this morning and is a perfect fit. Thank you so much for an easy purchase and very fast delivery. I will definitely recommend you, and certainly use your services again in the future. Just to say thank you very much, I ordered some clothes yesterday for my mother in law, it’s her birthday on Friday, my order has arrived today, so I am very pleased. Until I found your website I was really struggling to find the type of blouses she loves, since BHS closed. I hope she likes the skirt too! Thank you again for sending the order so quickly. I would like to thank you for your speed and efficiency in sending out the jumpers for my mother. I ordered 2 jumpers for her on the 10th July and received the order on the 11th! My mother is 92 and is extremely happy with the design and fit... thank you again. Just have to say how pleased I am with my recent purchases of knitted cardigans. Because I am on the small side(4'11''), I was pleased that not only were the cardigans a perfect fit, but also made in the <?xml:namespace prefix = "st1" />UK. I am writing to say thank you for providing a much needed supply of lovely dresses for the elderly. I have been a customer for many years as my mother loved to wear nice dresses and we struggled to find them in larger sizes. She was a resident in a Nursing Home and always took great pride in her appearance. We were more than happy with the choice of designs and the very reasonable costs of Rival Clothing dresses. Mom always looked absolutely beautiful. She really loved the last three I bought for her and wore each of them over the Christmas period. Her favourite was the red one and wore it for her Christmas Dinner and again for her Christmas party. Sadly she passed away on 2nd Jan. We take comfort in the fact that her last Christmas was such a happy one and that she made sure she looked her best. Thank you for all the wonderful dresses you supplied me with for her over the years. Everyone who knew her at the home have all commented on how stylish she was, right up to then end. I ordered 3 dresses for my Aunt yesterday 16th December, they have just arrived . I want to say thank you, the service was brilliant and we are very pleased with the dresses. We will certainly be using Rival Trading again. I know that some people are quick to complain when dissatisfied with something, but I like to compliment when I'm impressed. I would just like to say a big thank you for the recent order supplied. My Mother in law, who has Alzheimer's is very happy with her new outfits. A very thoughtful and considerate person paired up the skirts and cardigans exactly as I intended. To some people this may not mean much, if anything, but for me, it showed that you employ someone who understands your customers and puts in that little bit extra. This type of customer service is why I have used your company before, will continue to in the future and feel confident in recommending you to friends and family. Thanks again and I do hope you pass on my appreciation and thanks to the person that packed my order. Just a quick note to say how thrilled I am with the dresses and cardigans I just purchased for my Mum. It is very hard in Australia to buy this sort of quality and style. Older ladies are just lost in the system here and I have had to resort to buying on line for her. I am so glad I found your website. This is the 2nd delivery I have had from you. I just got a few things to start with to make sure they fitted and came through the laundering process ok at Mum's nursing home. So far so good! That's why I placed this second order. They have arrived today only 8 days after ordering which I am also very pleased with. If I order something from within Australia it takes that long or longer!!! Our internal postal service has gone to the dogs. My Mum is English by birth so she is delighted that her clothes come from "home". The quality is exceptional. I found your website searching for older ladies clothes and purchased 2 smock dresses for my mum who was recently diagnosed with stomach cancer and can't wear tight clothes. She is chuffed with the dresses, they are smart, beautiful quality, crease free and hang beautifully, and a number of people have commented on the gorgeous colours and we were so pleased with them I've just ordered 2 more. Please feel free to add these comments to your Testimonials Page and we will definitely be using your website again for mum. She has been here since she was 23 but is still "very English"! Many thanks - we have received the new cardigan order today. We are very impressed with our dealings with Rival Clothing and have no hesitation in recommending your company to our friends. Thank you very much for prompt service and beautiful dresses. They are a good fit, terrific value and very comfy. I look forward to my next purchase! I have just ordered some skirts for my elderly Mum. I cannot fault your customer service or the quality of the clothes. Thanks very much and I will certainly recommend and use your company again! Thank you so much for your excellent service. The replacement dress that I ordered for my mum fits perfectly and she is so pleased with it. It is so difficult to get smock style dresses for older people now and unfortunately, due to my mum's condition, these are the only type that fit her. I think we will be ordering more in the new year. Thank you for the refund too. Excellent service! Hi, I've been looking everywhere for a new cardigan and finally found you on line. Cardigan arrived today and Mum is very pleased with it. I have ordered some more today. My mum always used to knit her cardigans but is no longer able to due to dementia and they are long overdue being replaced! It fits very well and good quality. Hi ,I want to say a very big thank you for your efficient service. I ordered a cardigan and jumper yesterday from Australia and my sister in Welwyn Garden City has just rung me to say they have been received, are lovely colours, and look very nice. Congratulations on your fantastic service, much appreciated. I have sent your details to my niece who lives in UK so she can order something as well. Hi, I have today received my order . The clothes were for my mother who is 98 years old and has lost lots of weight during a short illness. She is absolutely delighted with the fit and quality of the clothes and we are most impressed with the speed and efficiency of your service. We will not hesitate to recommend you to friends, family and to the staff at the care home in which she lives. Hi, I just want to say a huge thank you for the skirt I ordered for my mother's 90th. You sent it according to her birthday occasion and it arrived in perfect time. She was thrilled with the comfortable fit, beautiful print, and the unmistakeable quality . She said she could feel it instantly. The success of this gift has made a huge difference to me on the momentous 90th birthday, and I thank you so much for your excellent product and immaculate service. Dear Rival Clothing. I was very pleased to receive my order of a cardigan this morning. Thank you so much for a very prompt delivery. I am so pleased with the quality of the item, it is exactly what I wanted. I shall certainly be looking for further things from Rival in the future. Thank you once again. Thank you so much - ordered yesterday delivered today. First class service and excellent quality. What a marvellous service!! My order arrived this morning!! It's the 2nd time I have used you and it's a blessing that someone thinks of the older generation. My aunt is 94 and sadly blind. I buy her bits and she has been delighted with her previous cardigan. I try and coordinate her wardrobe so she is able to say to the carers 'I would like to be in the pink today'. Just to say, fantastic service. My skirts arrived next day and they are perfect. I would definitely recommend you to anyone.They are very well made. I just wanted to add to your testimonials. I have been searching for dresses with long sleeves for my 90 year old mother, and was getting very fed up that nearly all the sites seem to have the same styles, which are too young and really not what Mum wants. She wants pretty colours and patterns, long sleeves in the winter, a waist with a belt, a dress that is easy to get on and off, and obviously it needs to be easy for her care home to wash, but almost the most important to her, is that it has pockets. Fantastic - your dresses are perfect. i am very relieved, I will be buying her several, and sneakily throwing away some of her older ones!!. Just wanted to say how pleased i am with my recent order from you. 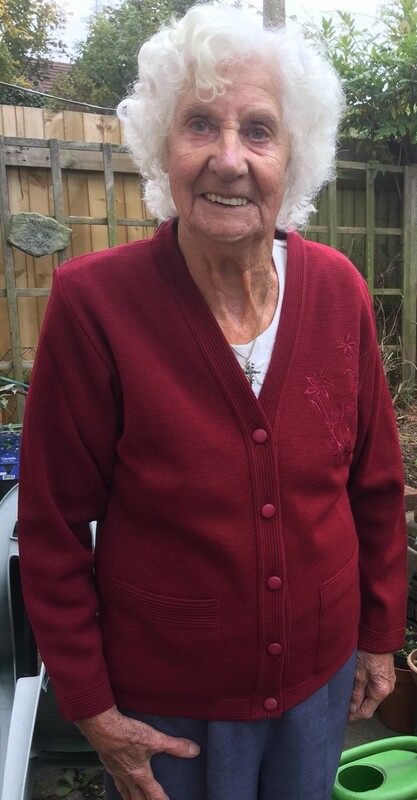 My 96 year old mum is delighted with her new dresses and cardigans. I have found it really hard to find suitable clothes for her and I will certainly come back for more at a later date. Also the short range you have means that I don't have to shorten everything! Just a line to say thank you for your extremely efficient service. The order was delivered before 9.00 this morning (saturday) . I don't think I have ever had such marvellous response to online shopping and will be recommending you to other clients in the nursing home where my 98 year old mother is and whom the dresses are for. I just wanted to say thank you for sorting out the problem with my order so promptly on Friday. The dresses arrived for my mum on Saturday and fit her perfectly. I am very impressed with the website and service we get from your company. We are caring for our mum at home and she has dementia. Finding clothes is a nightmare, as she cannot shop anymore, and also finding suitable clothes that are easy-care and user-friendly for whoever is helping her to dress is impossible from the high street. Thank goodness I stumbled across your website! Thanks once again and we look forward to shopping with you again in the future. What fantastic service!! Dresses etc for my very elderly mother have arrived safely today - just a couple of days since ordering - and the refund of the unavailable dress was handled smoothly and efficiently. The clothes are lovely, of excellent quality and value, and my mother will be delighted. Up to now it has been so difficult to find suitable clothes for a sprightly 99 year old (now in lovely residential care) who still cares very much about her appearance - in future I shall look no further than you. Good feedback is important and so I thought I would just drop you a line to say how pleased I was with my recent order for 2 ladies dresses. It is hard to find the right clothing on the high street for ladies of 80+ and so I thought I would search online. I came across your company and placed my order on Sunday and was so pleased that they arrived so swiftly today. The dresses are a good fit and really suit my mother-in-law perfectly. We are both pleased with them and we may well order from you again! It is a shame you are not more widely known!? I have recently purchased 2 dresses from you for my elderly mother, and she is delighted with them. It has been really difficult finding anything in her petite size and style, and with worsening osteoarthritis, the zip fastening has made it so much easier for her. Mum has been feeling low in mood recently because of her health, and the dress lifted her spirits. Mum has already selected which dress she plans to wear for her 90th birthday celebration in a couple of weeks. Thank you. Received my Mum's order this morning, thank you for the very fast service. Getting your order the next day in Ireland is becoming very rare among other Companies. Thank you also for this service as my Mum loves these type of Dresses, Cardigans and Waistcoats and you are the only Company that provides them. I am so glad I found you. That is now six new dresses, four back in the summer and two now, plus cardigans and waistcoats, so it may be a little while before I next order. I would like to thank you so much for your style of clothing for Elderly women... I had been looking in many stores here in Australia with no luck for my grandmother who is 97... through sheer frustration I decided to search the net and came across your website.. I ordered a dress and cardigan for her. When we took the items up to her and she put them on , you couldn’t have wiped the smile off her face for a million dollars. Here is a photo of her with her new clothes.. the first set we got her. Thank you so much for your company making ladies of this vintage so happy.I showed her your website and we went shopping and have ordered some more clothes. If you would like to share this on your site please feel free. gday, just writing to say thank you for my speedy order, I now have a very happy mum who cant get over how beautiful your dresses are & that I thank you for . I would not hesitate in dealing with you again. thank you very much. I just want to thank you for my order of 3 dresses for my elderly Mum. My order was only sent to you on Monday 10th June and before 11.30am on Tuesday my parcel was delivered. I have never had such a swift response before.Mum loves the colours and styles of her new outfits and we all know how hard it is to buy something at a reasonable price without them being too trendy or horrible!Well done and thank you very much. We shall keep a close eye on your website for future purchases. I cannot express how pleased I am to find a company that can supply dresses in a size 8 for the elderly. My mother is in a dementia care home and has always been small but is now tiny. All her clothing, that she had when she first went there, became far too large and her skirts were actually falling down. I did find some size 10 dresses from another company and bought 10 of those last year - too big but at least being dresses they could not fall down! I think the zip up one is a particularly good idea for dementia sufferers, it is a pity you only have 1 of those. I have now bought all 5 dresses that you have in a size 8. Are you likely to get any more? Zip up ones would be good. I will shortly be ordering another set of the current ones you supply in size 8 anyway. Any chance of you having other items in a size 8 - dressing gowns, cardigans etc?? A Murphy. Salisbury England. 16/5/13. I have tried for years to find clothing that would suit my mother's size and taste. A friend phoned me to say that she had come across your website. After printing out the choice of dresses and cardigans, I showed mother before ordering. Mother will be 100 years old this May and she now has two of your lovely dresses and a cardigan to wear; perfect fit and satisfaction. She is so pleased with them and says that she will be wearing one of them on her birthday! As I am her only son, it is really nice that I have been so fortunate to have come across your excellent firm; with such a good choice for the older lady and with such excellent service. I’m just writing to say I ordered three waistcoats for Mum well after your cut-off for Australia on 15 December and at 4.00 Christmas Eve, the courier came and there was my order! Absolutely marvellous, thank you. I’m so relieved to have come across your website, as I’ve previously said – there’s nothing here for the older lady (or anyone over 50 really!). Dear Sir, I want to thank you, sincerely, and congratulate you on the excellent service I've received. I sent my order in on 3rd November and the parcel arrived here on 14th November in perfect condition. 11 days to get to the Underside of Australia!!! That's amazing, considering the time needed in choosing the goods, packaging, shipping and the Australian postage which can be quite frustrating at times. I studied the Testamonials and decided that with so many positive comments they can't all be wrong so I'll give it a go. I'm thrilled with the dresses, which fit so comfortably, and the beautiful blue waistcoast that matches both dresses to perfection. I'm nearly 77 years old and all I want now is day-long comfort in pretty clothes to either work in or visit the shops - clothes that will be cool and look elegant and then be easy to care for. For many years I have not been able to find a shop that stocks clothes to fit me and I despaired of ever looking pretty and feminine again. I'm so glad that I found your Aladdin's Cave of garments and then had the courage to make the order. The fit and lengths of sleeves and hems are perfect - no 'alterations' needed at all and never before has this been the case with anything that I've bought. Even the shipping was reasonable and I now have two pretty dresses and a lovely waistcoat for less than AU$100 total. I will have no hesitation whatever in ordering more clothes. I'm now looking forward to dressing up, jewellery and all, and wearing my new dresses, and recommending your website to other nearly-elderly ladies. If my comments can encourage others to buy your garments I will be very glad because you are supplying a very-much needed area in the garment trade and I hope that you continue to do so. My order arrived today & I am so very pleased with the purchase of the 3 dresses, 2 blouses and 1 pair of trousers. The quality of the garments are WONDERFUL & so beautifully finished, plus, the short size 12 dresses & trousers fit perfectly on my 4 ft 11' 8 stone 1 lb (115 lb) frame. I am so glad I found your great web site & I surely without hesitation will purchase from Rival Clothing again! "Like other customers who have left testimonials, it is exactly the same here in Australia for clothing for the elderly. I am always hesitant to order online with clothing but came across your site and took a chance. Am I pleased I did! 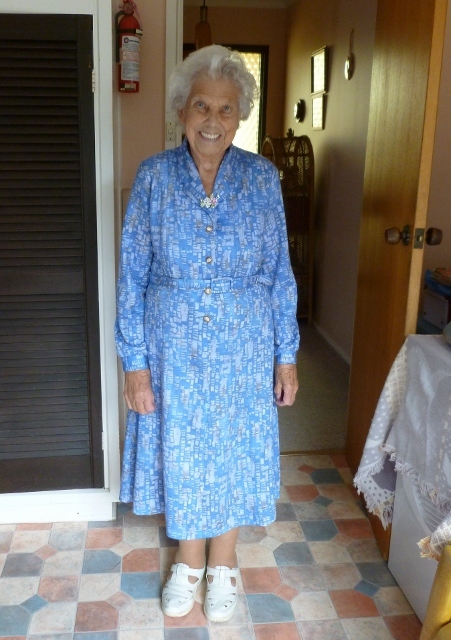 The two dresses I ordered for my 91-year-old Mum were perfect, the sizing was spot on and delivery was prompt. Mum loves the style and the colours and I am happy I found you, it has been like a never-ending search for the Holy Grail! You provide an excellent service and I will be very happy if my comments encourage other people overseas to order. I will certainly be back, thank you." I just wanted to write and say how impressed I am with your service. We have trouble getting clothes for my Granny as very few places sell them these day. Your shop has given us a place to be able to choose from many products. The delivery was fast and efficient and we will definitely be using your service again. Robyn Simpson. 2/2/12. Jersey. Channel Islands. year old mum for years- as you are right - the shirt style dress she likes and feels comfortable in is not available any more. so when I found your website I was delighted and when her first dress arrived (in time for Christmas too) I was even more delighted. Thank you so much for filling this niche in the market - it is important for the elderly to be able to dress comfortably and my mum was so pleased to wear her new dress on Christmas day - a great boost for her self-esteem and it made me feel good to be able to buy her something that was just right - and I was able to show her the styles online and we have now ordered two more!!!!! thank you soooooooo much Rival - brilliant service - keep going - you are a public service! I ordered 3 dresses for my mum and then panicked because I thought that I had bought the wrong size. The dresses arrived today and they look lovely, very posh! I am sure that my mum will love them. Also they seem to be the correct size. Thank you for catering for elderly ladies as it is very difficult to find suitable clothes in the shops. Prompt delivery and sizes that are neither under or over sized. I will definitely be buying clothes for my mother from you in the future. I placed an order on Thursday 08 December in the afternoon and wanted to advise you the dresses arrived the following day I am absolutely delighted with the service and the quality and wanted to say a big thank you. So much so, I decided to order two cardigans to match the dresses for my old Mum (92) today. Just a quick email to say thank you for dispatching my order so very quickly. I am highly delighted with the dresses I bought, they are really lovely and the elderly lady they were bought for was delighted with them. I have received mums dresses today. I would like to say what prompt and efficient delivery it was. The dresses are perfect and fit her beautifully. I will definitely order from Rival Clothing again. Thank you. The pink cardigan is lovely, as is the rest of our order. Mum loves the dresses - lovely patterns and colours, easy to dress herself and comfortable to wear. She is particularly fascinated by the beautiful buttons! I love the easy care, just pop in the washing machine and hang to dry! Thank you so much for the prompt delivery of the dresses I order for my mother. She is absolutely delighted with them and is now one very happy 97 year old lady! I had despaired of ever finding suitable dresses for my 93-year old mother. Nothing on the high street was suitable, either in style, size (5' 1", size 10/12 now) or price. Mum's tastes are, like many elderly ladies', very traditional, and she needs clothes which are easy to put on and fasten (and have pockets!). So, it was a tremendous relief to find your website, and we have been very pleased with the three dresses we have ordered so far, in terms of fit, fastening, fabric and colour. We have also been impressed with your swift and helpful service. Hello,I just wanted to thank you very much indeed for the rapid delivery of the two dresses for my mother.To my utter amazement they are literally perfect for her,in quality,size,fit ,material and price! Before my daughter found your website I was convinced we would not be able to obtain the clothes she wanted. Very well done indeed and All the Best Wishes for the New Year. I Would just like to say thank you for your prompt and efficient service. Ordered 3 dresses and a cardigan for my mother in law on Tuesday 30th November for delivery in Germany and they were here on Monday 6th December despite the snow and bad weather. She was so pleased with the quality that we have just ordered another two dresses for her. I just wanted to say thank you for your prompt service. I ordered a dress on Monday and it was here on Tuesday. I have been looking for the exact style of dress for my 87 year old mother for sometime and your range fits the bill completely. The quality is excellent and it's nice to find two lengths offered. Thank you again. Very many thanks! Received today when placed the order only yesterday lunchtime. Delighted with the dress and bed socks arriving in time for my mother-in-law's 90th birthday tomorrow! She will love them. Will use your services again and will recommend to others. Hi I would just like to say thank you very much for your excellent service in sending my order of 3 dresses and a pack of 3 socks for my Mum who is in a Nursing Home.The dresses are just what she needs,not too thick material. I couldn't believe how quickly they arrived,after only placing the order yesterday lunchtime. Thank you once again,I will be passing your name on to other people. Just to let you know my order arrived safely and to say I am absolutely delighted with every item,I will definitely be ordering more from your site for my mum. Would just like to say thank you for the efficient service and speed of delivery for items ordered over the phone last week. The items themselves are extremely good and just what was needed for the elderly mother in law! We are all quick to complain so thought you would appreciate the compliment. Would certainly order from you again in the future. I would like to thank you for the quick and efficient way my order number 12082 of the 1st.July was dispatched to me. Can I also say that the goods in reality, were much nicer than shown on the Internet. I will have no hesitation in recommending you to my friends. Many thanks for the dresses and two cardigans that I ordered for my mother. They were an excellent fit - I only have to adjust the length. We both found them extremely pretty and are very pleased. And the pink cardigan was a perfect shade to match for the two pink dresses, as you said! Thank you also for the personalised service. I am very pleased to have discovered the company and will be back on the website in September to see your new winter stock.